The wedding consulting services is offered in efforts to meet the availability demands of their wedding clients, promote to various target markets and increase sales growth. Peachtree Petals, a recognized leading Atlanta florist specializing in premium floral arrangements and wedding floral decor services, announces Saturday free wedding consultation services. The wedding consulting services is offered in efforts to meet the availability demands of their wedding clients, promote to various target markets and increase sales growth. 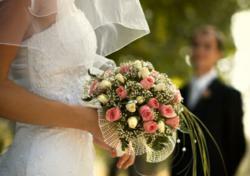 Peachtree Petals strives to be the best choice for wedding floral services and decor nationwide. Peachtree Petals markets its wedding consulting services are found on the "Weddings" page of their website. The Saturday wedding consultation is an option for brides that have no availability during the week. Brides desiring a Saturday wedding consultation, are instructed to e-mail directly the Peachtree Petals Wedding Consultant Todd Hausman at todd(at)peachtreepetals(dot)com or call 1-678-336-1195. Within the e-mail, brides are recommended to include all wedding and contact information, as well as the requested Saturday wedding consultation date. The wedding consultant will immediately respond regarding the Saturday requested and book accordingly. For the clients that have weekday availability, Peachtree Petals offers free wedding consultations during the week as well. Within the Weddings page, clients can simply click schedule an appointment and all available wedding consultation times during the week will be shown to choose from. Once a time is selected, the client completes a contact form, which includes the bride's name, wedding date, wedding city, best time to call, and any additional comments for the wedding consultant. With its very own experienced Atlanta floral wedding consultant, Peachtree Petals is capable of meeting all of a bride's wedding floral needs. This year, Peachtree Petals was recognized as winner of Wedding Wire's Bride's Choice Award. WeddingWire is one of the fastest growing wedding and event companies in the US. The award has affirmed Peachtree Petals as an official recognized leader in high-quality and custom-designed wedding floral bouquets. The company also offers effective customer services to its brides and provides the greatest value for every wedding budget. Peachtree Petals is committed to providing superior wedding bouquets and helping our brides have the best wedding experience. Peachtree Petals is a well-known leader of superior floral arrangements and a recognized Master Florist nationwide. From Atlanta, Georgia, Peachtree Petals services a growing list of clients, including company floral subscriptions and weekly floral services. The company offers a simple approach to the floral industry, most notably, free same-day delivery of all their floral arrangements in the Atlanta and Metro-Atlanta area.